Schneider’s talent was apparent back at Barrington High, as he won numerous “Crystal Pillars” from the National Academy of Television Arts and Sciences. Besides Midland and their Best Video nomination, Schneider’s diverse and extensive resume includes work with Tim McGraw, Luke Bryan, Florida Georgia Line, The Chainsmokers, G-Eazy, Whiz Khalifa and Drake. Jeff Doles of HollywoodChicago.com – who also instructed Dillon Schneider in high school as his video production teacher – interviewed his former student a few days before the ACM Awards, for an overview of his career as a top cinematographer. HollywoodChicago.com: Congratulations on your success. Along with the ACM nomination, Midland’s music video ‘Burn Out’ also has over 15 million views on YouTube. How did you get connected with Midland to create the music video? Dillon Schneider: I was asked to collaborate on this piece by my friend, director TK McKamy, who wrote the treatment. No stranger to country music awards, TK has been nominated for several awards in the past, including winning a CMA [for Thomas Rhett’s ‘Marry Me’]. 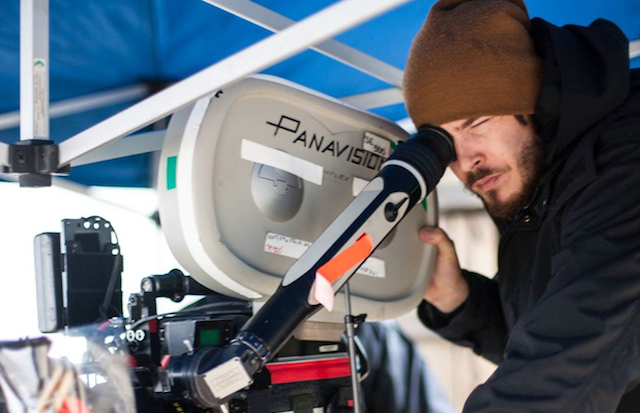 For ‘Burn Out,’ he directed along side the bassist of Midland, Cameron Duddy. Cameron is also a successful director in his own right, having directed Bruno Mars, ‘24k Magic’ and ‘Uptown Funk’ videos. HollywoodChicago.com: What role does the cinematographer have in the direction, design and creation in the overall feel of a music video? Schneider: The cinematographer is responsible for translating the director’s vision into moving pictures through camera movement, lens choice and lighting. Because this entire video was one uncut take, all three of these things had to be executed perfectly for the video to be successful. The DP [Director of Photography] will general pick the lensing, camera system and filtration to bring the script to life. HollywoodChicago.com: You mention the video was done in one shot. Talk about the process and how many takes it took to create the end result? Schneider: TK and I were pretty adamant about doing a true one shot video so we called in a Los Angeles heavy hitter, Steadicam operator Colin MacDonnell. Colin and I have worked together for a few years so he knows what I want without much micro managing. This was important, as I had my hands full designing the lighting, making sure the action and the talent were lit without casting any shadows from the operator, and it required electricians to be dimming lights on-and-off during the take in perfectly timed cues. I also have to give a shout out our dance choreographer Sharon Toups and her team of dancer extras. They not only had to dance perfectly timed and with high energy, but also had to move out of the way when the camera passed through. None of this would have been possible without our producer Ben Litty Skipworth. He gave me the tools I needed even with our tight budget. HollywoodChicago.com: Who do you emulate in your profession and also, who has helped with your success? Schneider: I look up to the work of Robert Richardson of ‘Django Unchained’ and ‘Hugo,’ as well as Seamus McGarvy of ‘Atonement’ and John Mathieson of ‘Gladiator’ and ‘Logan.’ Some of the great people that helped me along my way are Michael Goi of ‘American Horror Story’ for his wisdom and encouragement, Alexa Lopez at Panavision – who always provides the best cameras and lenses in the world – and my long time friend and mentor Elan Yaari. I also have to give a shout out to you, Dr. Doles, for giving me the best opportunities to be successful at an early age … I might not have stuck it out if it wasn’t for you. HollywoodChicago.com: Thank you, I appreciate that. But after you left us, what was the break that got you to where you are today? Schneider: I don’t think there is any one moment or project. Every opportunity from big dollar budgets to freebie short films have helped me learn and get better at what I do. But I will say shooting music videos with well know artists gets eyes on your work, which is what ultimately opens doors to do more. HollywoodChicago.com: So let’s get technical … what gear do you need to do a video like ‘Burn Out’? 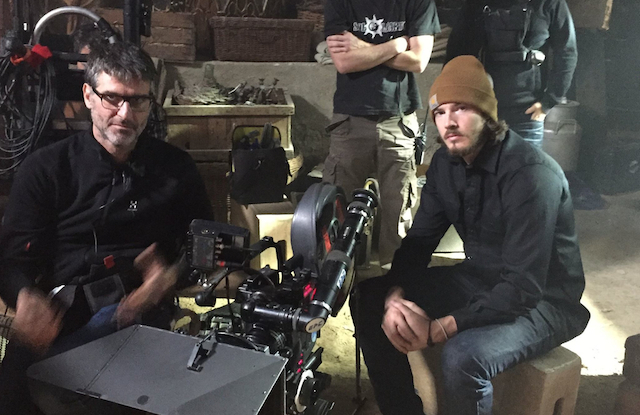 Schneider: I shot the video on an Arri Alexa SXT cinema camera with a Panavision C series 40mm anamorphic lens. I love the look of the Arri Digital camera, as it is the closest looking video camera to 35mm film. The way it renders color and skin makes it my go-to choice for almost every project. We were looking to emulate that old honky tonk films of the 1980s, so I chose old anamorphic lenses that were used to shoot movies back then. Panavision has been the number one leader in optics since the dawn of cinema, and that’s why I continue to utilize their gear. I interned at Panavision in college and have forged a solid relationship with them over the years. HollywoodChicago.com: Finally, you had the opportunity to work with some big hitters in the music industry. What was your favorite project to work on and why? Schneider: Its too hard to nail down one job as my favorite, but I’ve had some good ones. Like the time I told Tim McGraw how we met seven years earlier on one of his music videos when I was in film school, and here I was cinematographer for his latest single. Or when I rode on a semi-truck filming Jon Pardi on Broadway in downtown Nashville. Or maybe when Oprah Winfrey hand fed me a turkey burger. Or maybe fishing with Florida Georgia Line, or riding around with G-Eazy in his Mustang, or Luke Bryan complimenting my lighting, or riding a horse with Maren Morris or … well, you get it, I love my job. The 54th American Country Music Awards are on Sunday, April 7th, 2019 (8pm ET/ 7pm CT) on CBS-TV, hosted by Reba McEntire. For an overview of the music videos that Dillon Schneider have worked on, including the ACM nominated “Burn Out,” click here.